Portable monitors, also called USB Powered Monitor, are the most recent sensational devices on the market. Whether you are a full-time professional having multiple tasks to accomplish or a freelancer who has found it hectic switching between the tabs, a portable monitor is an ideal device for you. Now the big question is: how do you choose the best portable monitor from the crowded options. In fact, this is what this article is all about. We have reviewed the top 9 best portable monitors on the market you can consider buying. Read on to find out which products made into this list. GeChic 1503A is a 15.6 Inch portable monitor with VGA input, rear port HDMI, and USB port. With these ports, the monitor is compatible with a variety of HDMI compatible devices including gaming consoles, laptops, computer sticks and mini-PCs. This monitor also comes with a unique rear dock connector on its rear side, comprising of display, power and system configuration signals. Other appealing features of this ultralightweight monitor include vertical and horizontal detachable stand that allows the monitor to be placed in vertical or horizontal positions; built-in speakers; rear docking; versatile multi-mount kit; plug and play with no driver installations and much more. The AOC i1601fwux is a 16-inch portable monitor with a sleek design. This monitor uses the newest USB Type-C port to connect to your laptop or PC. The USB Type-C connectivity allows both data and power to stream simultaneously. Some of the appealing features of this monitor include an IPS Panel for wide viewing angles; LowBlue Mode for decreases harmful blue light without compromising the naturally vivid colors; and foldable flexible stand for viewing in portrait or landscape mode. 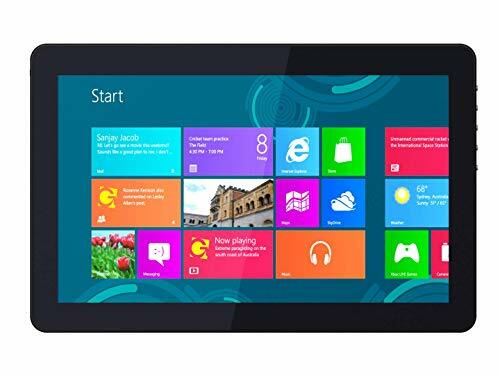 Others include Full HD display, 1920 x 1080 display resolutions, and extremely slim body design. The ASUS MB168B is also another portable monitor in this list you can consider buying. This is a slim 15.6-inch monitor with 1366×768 display resolutions. It uses a single USB 3.0 cable to connect to your laptop or PC. The USB 3.0 cable allows both data and power to stream simultaneously. When it comes to durability, the ASUS MB168B beats them all. It comes with a protective carrying case which you can also use as an adjustable stand for tabletop use. Other appealing features include capable of displaying in landscape and portrait; a light sensor that automatically detects ambient lighting conditions, and blue light filter that minimizes harmful blue light. 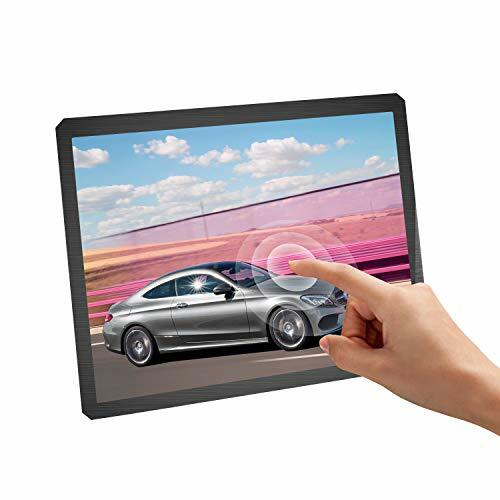 Toguard 7 inch Ultra-Thin High-Resolution Monitor is a 7-inch portable monitor with AV, VGA, and HDMI input. With rich input ports, it can be perfectly used as a PC monitor, laptop monitor, Raspberry PI monitor, CCTV security monitor, in-car screen monitor, mini TV screen, DSLR monitor, and so on. It comes with a high-resolution LCD display screen with touch button and built-in speaker. It is a mini portable monitor that you can even carry it in your handbag. Other appealing features include high color reduction and bright saturation image which gives you a pleasant visual enjoyment. HP Pavilion Portable Monitor is a 21.5-Inch Full HD monitor with crystal-clear visuals, vibrant images, and wide-viewing angles. The monitor comes with a VGA, HDMI, and HDCP ports which you can use to connect it to your laptop or PC. This is one of the environmental-friendly portable monitors thanks to its endless environmental features such as Arsenic-free monitor glass, mercury-free LED backlighting and the low halogen design that promote energy efficiency. 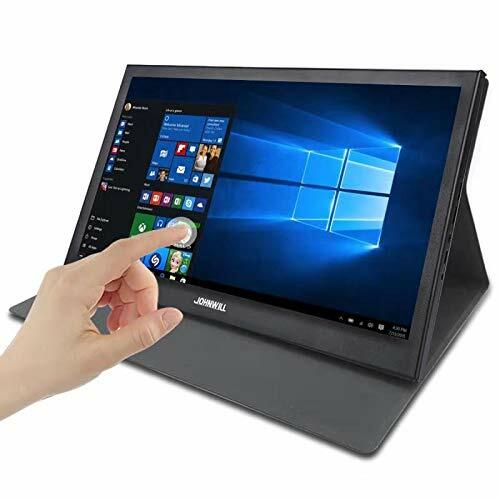 The AOC E1759FWU is a 17.3-inch portable monitor that connects to a laptop or PC through a USB 3.0 technology. This ultra lightweight monitor comes with 1600×900 display resolutions. With this type of resolution, you are guaranteed crystal-clear visuals and vibrant images. Some of its appealing features include a foldable flexible stand for landscape and portrait viewing, 10ms response time, and ultra slim design for easy transportation. 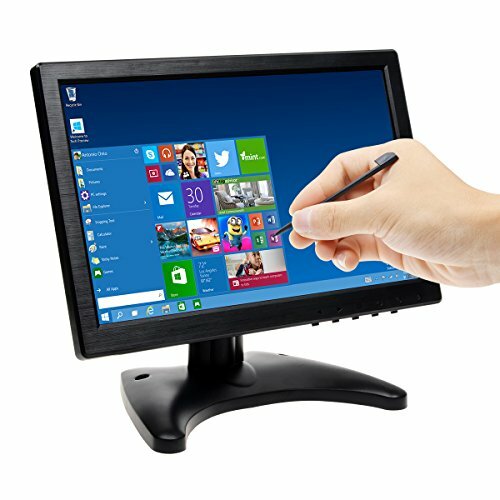 Last but not least, this monitor is compatible with Windows 10 when your laptop or PC is installed with the current displaylink.com driver. 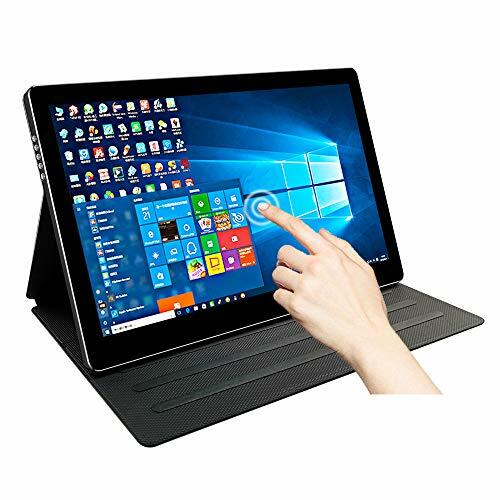 If you are looking for a touchscreen portable monitor, then the GeChic 1303i Touchscreen Portable Monitor might be a good option for you. This is a 13.3 Inch lightweight monitor with HDMI, VGA and MiniDisplay Inputs. These inputs allow you to use this monitor with your mini PC, laptop, smartphone, camera, Intel NCU, Raspberry Pi and other devices. 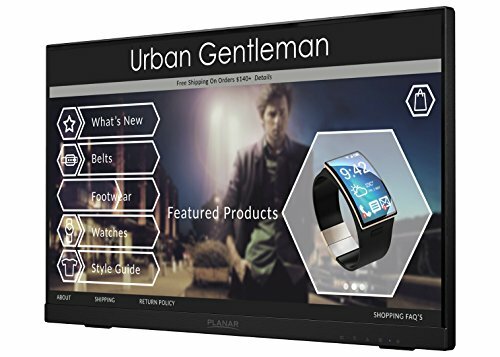 Other appealing features of this monitor includes ten-finger multi-touch recognition, dual built-in speakers, full HD 1920 x 1080P resolution, and FHD IPS Panel that offers more detailed picture and outstanding color performance. 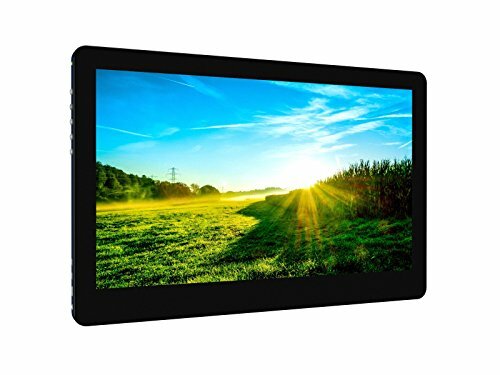 The GeChic 1101P is a 11.6 inch USB powered portable monitor with several display connectors such as VGA, HDMI, and MiniDisplay inputs. Besides these display connectors, it also comes with a versatile tripod mount kit which allows you to fix it into the SLR camera or tripod. It also comes with an LCD screen with IPS panel and refined 1920 x 1080 resolutions. With this type of display, you are guaranteed stunning true-color image clarity with no distortions. Some of its appealing features include compact and sleek design, wild-angle-view and minimum power consumption. The HP ELiteDisplay G8R65A8 is a 14-inch portable monitor with a LED-Lit screen. This monitor can help you create a dual-display mobile workspace anywhere in your house or on the go. This is made possible thanks to its USB connectivity. Some of its appealing features include a high-resolution display, ultra-compact and strikingly thin design. In addition to these features, the monitor can also be folded back to add a second screen for your notebook or tablet. This is the second part of our article. We have included a detailed buyer’s guide with lots of information about portable monitors and how to choose the best product from the crowded options. Read on to learn more. A portable monitor is simply a monitor that you can easily carry or transport from one location to another. These monitors are usually smaller than usual PC monitor, with screens measuring around 14 inches on average. Most of them come with USB connectivity, so you don’t need to carry large cables or AC adapters to connect the monitor to your laptop or PC. All you need is one small USB cable to connect it to your devices. Why do you need a portable monitor? A Portable monitor is a simple and easy way to double your screen space, whether you are using a laptop, desktop, or workstation PC. 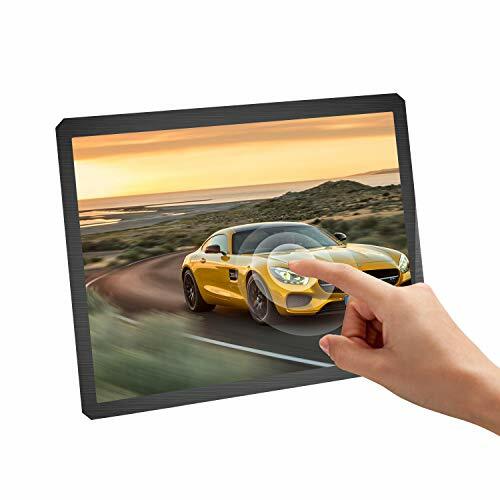 If you find yourself traveling frequently and want a monitor to display your music videos and games in Full HD resolution, then you are the perfect candidate for a portable monitor. With this device, you can turn any location into a hub for endless movies and games, including a conference room, the airport, and a hotel room. They are a perfect solution for professionals, freelancers, travelers, photographers, videographers, hobbyists and other users. Since you are going to carry the monitor from one place to another, you need your portable monitor to be as thin as possible. Choose portable monitors with a normal thickness of 0.3 inches or less. You need to find out how the monitor is connected to your device prior to purchase. If the device is connected to a USB technology, your device needs to have an extra USB port. USB 3.0 is normally a standard connectivity but USB 3.1 of type C is slowly taking over USB 3.0. You also need to consider the monitor’s resolution prior to purchase. The HD and HD+ resolutions are the most preferred because they provide quality pictures at affordable prices. Other options you can consider include Full HD (1920 x 1080), Quad HD (2560 x 1440) and 4K Ultra HD (3840 x 2160). Besides screen resolutions, another thing you need to consider is the type of screen display. The available options include IPS, LED, LCD and Touchscreen. Monitors with IPS displays deliver deeper blacks and more accurate color than most LCD and LED monitors. 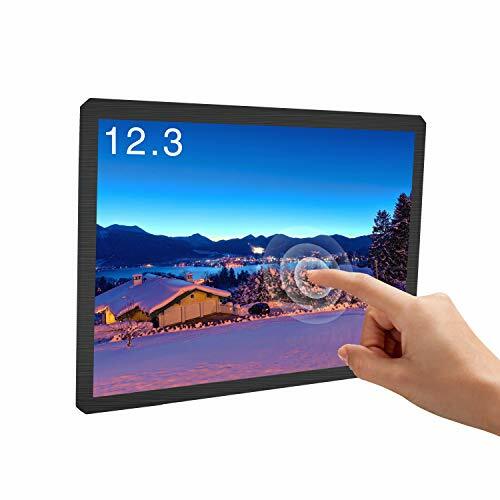 Touchscreen monitors, on the other hand, are popular for home entertainment and multipurpose use. You also need to consider the size of the screen before purchase. As the monitor’s screen size goes up, so does the price. So you need to consider how much space you have and how much you intend to spend. You need to check the monitor’s ports and connections to find out how it is connected to your PC or laptop. You also need to find out whether the port supports devices such as a smartphone, Blu-ray player, camera, camcorder or other devices. HDMI: This port carries both video and audio signals and it is best for playing HD content. DisplayPort: This is an excellent choice for very high resolutions and frame rates. DVI: This one provides a video signal, but they usually do not carry audio. VGA: While DisplayPort, DVI and HDMI are all digital connections, VGA is the old analog technology. It can carry fairly high frame rates and resolutions. USB ports: This connects to your device through a USB cable. You also need to consider the monitor’s additional features such as mounting technology, built-in webcams, built-in speakers, ergonomic features and other minor features. As you have seen, each and every product we have presented above come with tremendous specifications and unique features. The article is well researched and I personally believe that the top 9 products mentioned above are considered as best by the users.